History of glass – Who invented glass? Home » History of glass – Who invented glass? People have been using naturally occurring glass since the Stone Age, when they wanted an especially sharp edge on a tool or an arrowhead. Obsidian is a natural glass which forms when sand shoots out of a volcano during an eruption and is heated by the hot gases until it melts into glass. You find it in the Aegean islands between Greece and Turkey, where there are a lot of volcanoes. 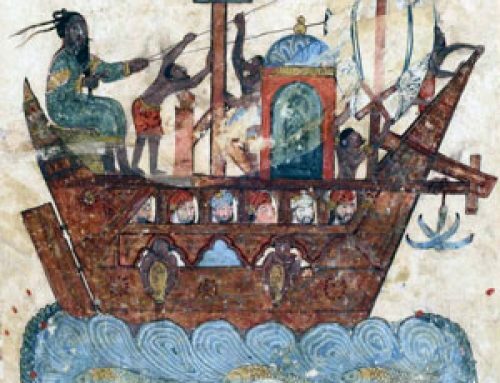 Even in the Stone Age, people used to sail there specially to get the obsidian. How do you make glass? 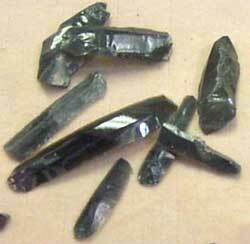 History of glass: Obsidian tools. Obsidian is a naturally occurring volcanic glass. It wasn’t until around 2500 BC, in the Bronze Age, that people began to make glass for themselves. Probably this got started in Egypt. The Egyptians made glass by melting a particular kind of sand in a fire. This is sand that has a lot of silica in it. There were two other main ingredients too. Early glass was about two-thirds silica sand, and the rest lime and soda ash made from burning salt-water plants that grew on the beach. Lime is what’s left when you burn limestone or marble. The lime made the glass more stable – less likely to break. And the soda ash made the glass melt at a lower temperature, so you didn’t have to get your fire so hot. The first glass was little glass beads, which people used for necklaces in place of jewels; these were not fired very hot, so they often had bubbles in them. People loved these beads because you could trade them, so you could use them as a kind of money. How did glass-makers make colored glass? Colored glass comes from adding tiny amounts of other chemicals to the melted glass. Later glass-makers learned to make strings of glass, which you could wrap around a clay pot to decorate it. 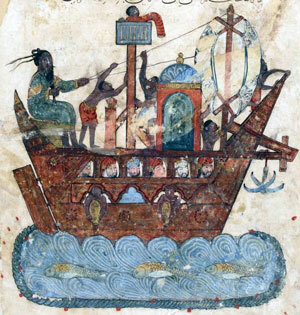 But glass was still very rare in West Asia and ancient Egypt, and pretty much unknown everywhere else. By about 1550 BC the Phoenicians (who were very good at glass working) could make core-formed glass perfume bottles. They probably used the newly invented bellows to finally get their furnaces hot enough to get strings of glass. You made a solid bottle-shaped core out of clay, and then you wrapped lots of these glass strings around it, until it was all covered in them (kind of like a rubber-band ball). (Or, some people think you rolled the clay core in powdered glass, or dipped the core into melted glass.) Then you let it cool and scraped out the clay to make a glass bottle. Buy your own piece of blown glass! But this way of making glass bottles took a long time, and so people only used glass for jewelry and fancy bottles for a long time. Fancy glass beads were great for trading: small and light, hard to break, but expensive jewelry. 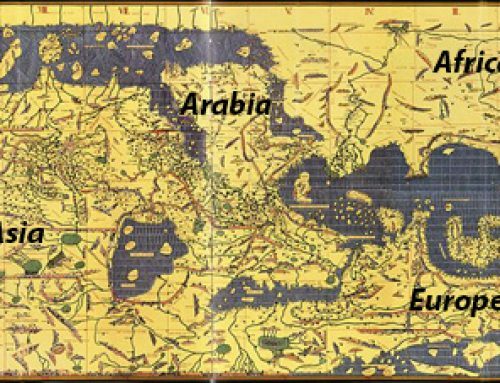 By 1300 BC, traders were selling amber in the Mediterranean and carrying Egyptian glass beads up north to Denmark, probably along the Danube and the Rhine, or up the Volga River. 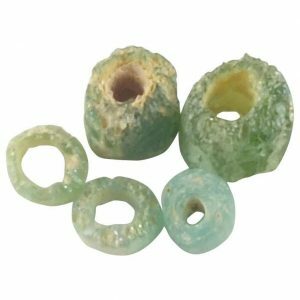 A thousand years later, by 300 BC, traders on the Silk Road had brought some of these glass beads as far away as China. Looking for new things to trade, glass-makers started to step up their game. They started to make expensive colored glass bowls. What does it mean to slump glass? Probably they made these bowls by slumping: you made a pottery bowl, turned it upside down, and draped a sheet of hot colored glass over it so that the glass sagged down and took the shape of the bowl. 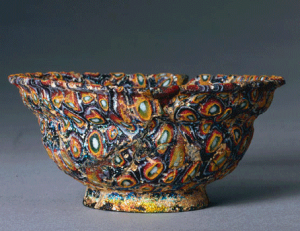 How did ancient glass get to be different colors? Glass-makers added different chemicals to their melted glass to make it different colors. They used antimony, a rare metal which crystalizes the glass and makes the glass opaque (not see-through). For white, you added calcium and antimony. For yellow, you added lead and antimony. You got these opaque glass bowls. But antimony was expensive, and slumping glass was hard. These bowls were rare and expensive, only for rich people. Looking for a second source to cite about early glass? Check out the excellent articles from Corning Museum of Glass. Did you find out what you wanted to know about the history of glass? Let us know in the comments! How Glass Is Made, by Alan J. Paterson (1985). For kids, but it’s really about modern glass technology. Studies in Ancient Technology: Leather in Antiquity – Sugar and Its Substitutes in Antiquity – Glass, by R. J. Forbes (2nd revised edition 1997). Only part of the book is about glass, but it will tell you everything you need to know about glass in ancient Greece and Rome. By a specialist, for adults. Early Glass of the Ancient World: 1600 B.C.-A. 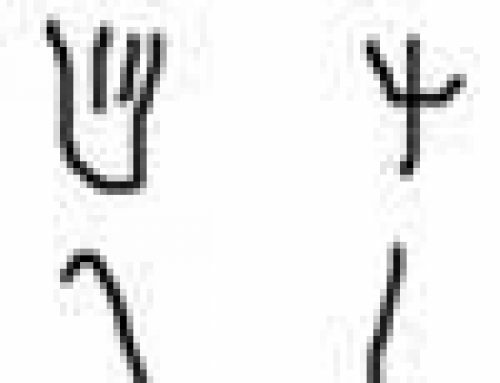 D. 50, by E. M. Stern (1995). Marianne Stern is the leading world expert on ancient glass. Roman, Byzantine and Early Medieval Glass: Ernesto Wolf Collection, by E. M. Stern and others (2002). Same expert author as above. Cite this page: Carr, K.E. History of glass – Who invented glass?. Quatr.us Study Guides, September 5, 2017. Web. April 19, 2019.